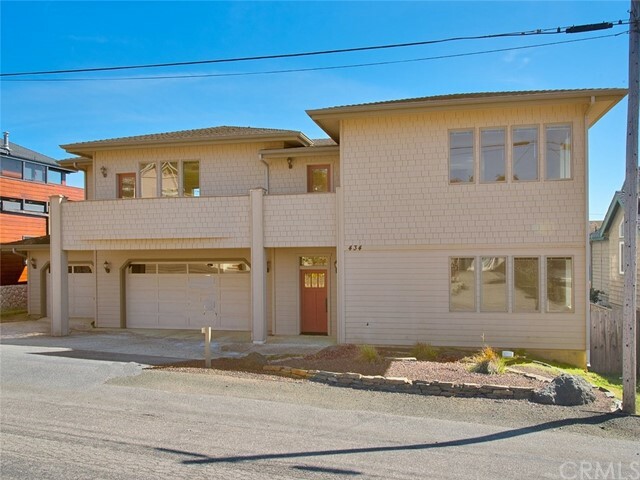 A stones throw from moonstone beach, this recently updated cambria split-level is the perfect weekend retreat. Once inside, you are greeted with an oversized, open concept living space on the top floor. Walls of glass surround the living room and kitchen, with partial ocean views. Take a step outside onto the wrap around balcony to enjoy the view and the coastal breeze. There is an isolated bedroom with an ensuite bathroom and balcony access on the top floor. Downstairs you’ll find 3 additional bedrooms all with updated ensuite bathrooms and private outside access for quick escapes to the beach. A spiral staircase from the top floor leads you to a custom walk-in wine cellar. Not only is this home a delight for entertainers, but a perfect place for large groups to make memories together under one roof. 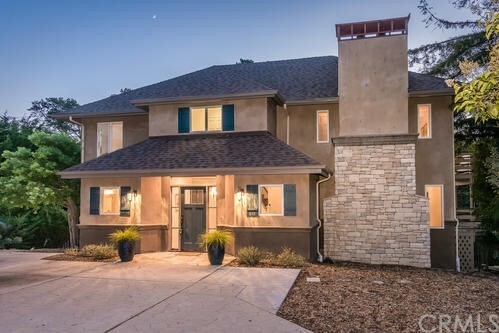 Come experience this unique central coast home. Up the meandering private paved driveway, this functional & stylish custom home awaits you. Situated on 1. 3 acres with architecturally appealing lines and spaces designed to connect with the outdoors. 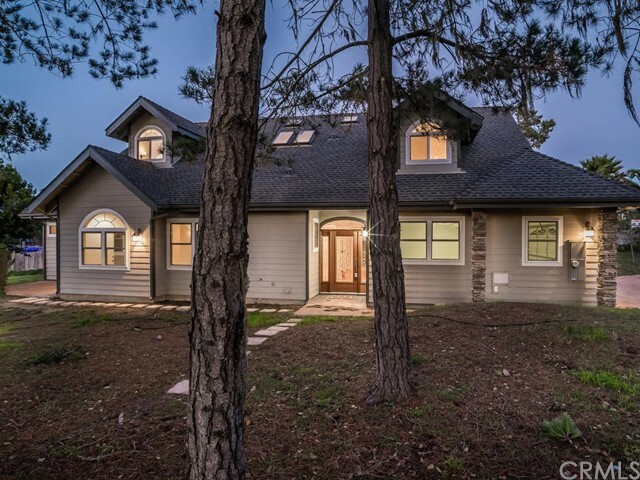 Floor to ceiling pella wood windows flood this home with light capturing the views of the majestic oaks & natural scenery. The ground floor is centered around a sensational great room with a wood burning fireplace, formal dining area & a gourmet kitchen with access to the expansive 1800+/- s. F. Of decking. Stunning and practical, the kitchen boasts separate sub zero refrigerator and freezer, an island with granite countertops and a built-in cutting board, 3 sinks, gas cook top with 4 burners, grill & bbq, ample storage and built-ins such as a desk & eating bar w/ floating stools. The cozy master suite is conveniently located off the living areas for easy single level living, highlighted by vaulted ceilings, large picture windows, with two separate master baths, both have walk-in showers, & two spacious closets. There is a spacious utility room. The workshop & separate storage room in addition to the two car garage measures 841 sf. Some of the other amenities include central vac. & security alarm. The tranquil grounds have paths that stroll through the acreage to an enclosed garden. A 3000 gal. Water storage tank filled at the street has a pump & is connected to the irrigation for the garden enthusiast. 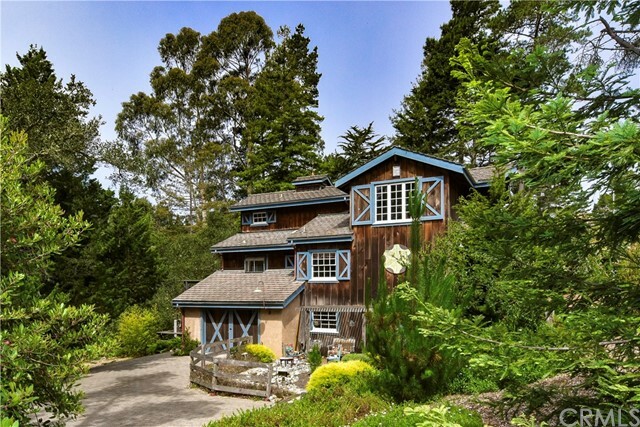 This private coastal acreage is just minutes to the ocean at moonstone beach. Spacious from the moment you walk in! 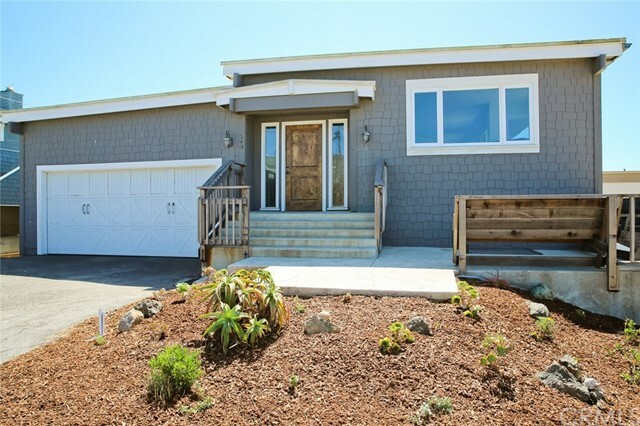 This newer, ocean view home is in impeccable condition, ready for you to make it your own! Finish features include maple flooring throughout, stone floors and surrounds in baths, granite counters in kitchen and bathrooms, custom birch cabinetry with extra built-ins, solid douglas fir interior doors with emtek cast hardware, andersen vinyl clad casement windows and french exterior doors, 10' ceilings, brushed nickel plumbing and lighting fixtures, dimmer switches, decks front and rear. Master has two decks with french door access, large bath with tub and separate shower, dual sinks. The kitchen features a walk-in pantry, island with salad sink, commercial dacor 6-burner range with wok burner and commercial vent hood. Great storage includes a very large closet for future wine room, 3 car garage, over 700sf. The site is a triple lot parcel with a large fenced yard. Whitewater views from the deck. I think that the nicest feature of this house is it's spacious floorplan and good quality design, using top grade materials thru-out. Oriented to capture the ocean from all the upper windows makes this a nice place to be. Downstairs, there are (3) large bedrooms, a hall bath, and an extra large laundry room, one of the bedrooms is actually a very nice office space, with a door to the back yard. The kitchen, pantry, dining room, living room, powder room, master bedroom, and master bath are located upstairs. Finished extra large (3) car garage. 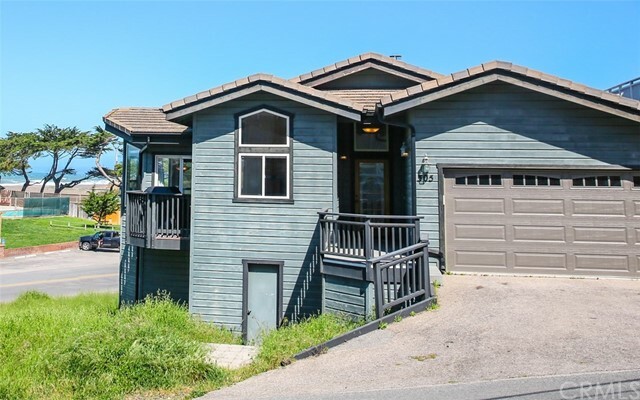 Quality built home in 2000, has beautiful ocean views with proximity to the water and fiscalini ranch. Set on a large lot on a premiere street of lodge hill and just on the rise of marine terrace, this 3 bedroom and 3. 5 bath home offers a coastal retreat inside and out! Step into the prominent views that welcome you to the "main floor living" offering an open concept living room, dining area and the roomy kitchen with a pantry and a bar. Boasting a spacious master suite that has ocean views and a balcony. Angled ceilings, wood floors and artistic custom lighting all speak of the class this home possesses. The recently rebuilt deck will serve as an "outside room" of sorts being tucked back from the wind, with ocean views and nice access off the living room and the master bedroom. Storage is abundant in a stand-up dry space under the house having keyed entry. Come home to cambria - 2393 madison is move-in ready! Furniture negotiable. Call your realtor today! Privately nestled on an acre, this warm & rustically elegant home offers unique architectural elements. The open great room reveals 20 ft. Vaulted ceilings, skylights, a stone fireplace & cathedral wood windows capturing the beauty & solitude of the surrounding pine forest. The kitchen is a gourmet's delight; immerse yourself in the love of cooking & entertaining, specially designed to meet the needs of the most discriminate chef. Boasting a viking 6 burner & grill cook top, 2 ovens (viking and dacor), viking warming drawer, kitchen aid microwave, wine cooler, subzero ice maker, separate subzero refrigerator & freezer, trash compactor, kitchen aid dishwasher, 2 full sinks, granite counter tops, great storage w/ cherry wood cabinets & a spacious walk in pantry. There is also a built in office area w/ desk. Off the kitchen is a laundry & mud room w/ access to the grounds. Another wonder feature of this home is that one can live on the main level without climbing any stairs. Located on the main/ entry level is the kitchen, formal dining room, living, family room & master bed. Vaulted ceilings, an enormous walk-in closet, w/ in floor safe, a fireplace & french doors lead to the outside deck adding ambiance to the master suite. Upstairs there are 2 additional beds & a loft/ office. Complete w/ a 3 car garage and room to park the r. V. Fully landscaped w/ a 2500 gal. Water storage tank w/ rain water recapture system. Just minutes to the ocean. 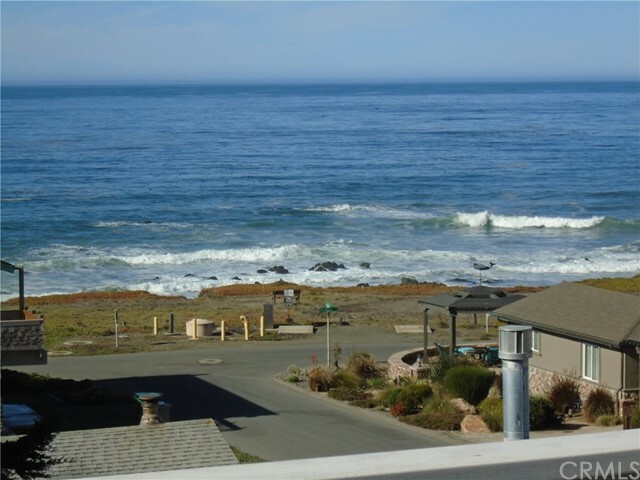 Unobstructed panoramic views of the ocean to piedres blancas lighthouse and beyond! This successful vacation rental is located in a highly coveted location across from shamel park and moonstone beach. Main level open floor plan includes living room with cathedral ceilings and a large display of windows with multiple decks enjoying white water ocean views. An abundance of natural light floods the well appointed kitchen with an eating bar area open to the formal dining room and great room with cozy fireplace. The master suite also rests upon the main level boasting cathedral ceilings, built ins, and access to the deck boasting even more of those spectacular ocean views. The master bath has dual vanities and a spacious shower. Walk-in closet with plenty of room. Downstairs there are two bedrooms, one full bath, a spacious laundry room and a 408+/- square foot bonus room currently used as a playroom and living area. If you are looking for a spectacular location combined with a quality beach home with the ability to generate income- welcome home! Looking for the best ocean view in town? This could be it! 3 bdrm, 2 1/2 bath main home plus full one bdrm apt. Place for the guests or mom. 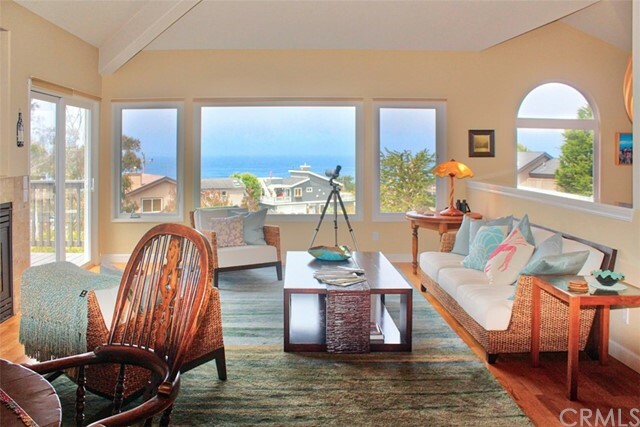 A wall of windows makes for super views in the home or the huge ocean view deck invites you outside. Deck is so private with such a super view that no "deck etiquette" is required here. 2 car attached garage makes for easy in, easy out. Neat and clean. Tons of storage space too. This is a great opportunity to own two houses in the prestigious leimert estates! Looking for rental income or living space for multigenerational living? 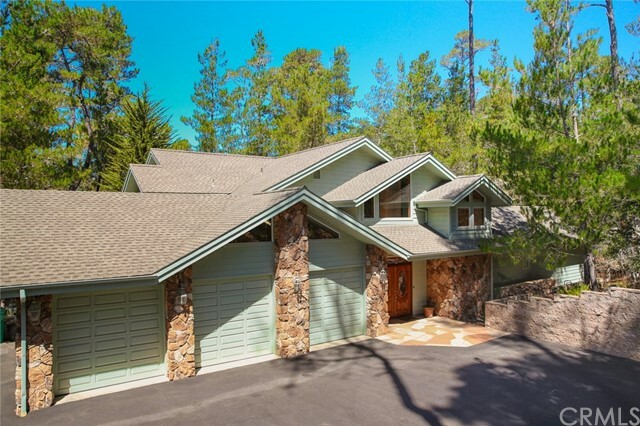 This corner lot is a beautiful mix of redwoods, oaks, pines and native foliage! Features of the main house include a 2 bedroom/1. 5 bath open floor plan with vaulted wood ceilings and a basement perfect for a wine cellar. Upstairs you will find the second bedroom in the spacious loft area which could also be used as an office or additional living space. Below the main house you will find a studio apartment for additional living options, beautiful decking and the garage. Step into the guest house to the spacious living space complete with vaulted wood ceilings and fireplace. Upstairs you will find loft style bedroom with sky lights and stained glass window. Located below the guest house is a large shop for all your project and storage needs. Such a unique property with endless possibilities! This is a trust sale, property being sold in "as is" condition. Call today for a showing! 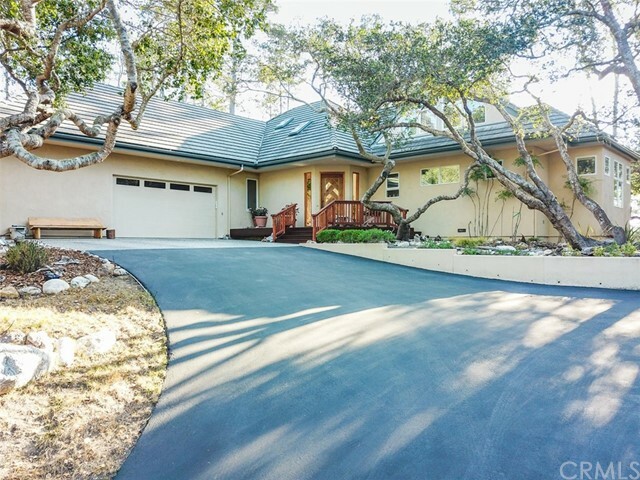 Located on a corner lot with native cambria pines, this 2,536± sq. Ft. Home offers 4 bedrooms & 4. 5 bathrooms, spacious open living room with a fireplace, kitchen with stainless steel appliances, travertine backsplash and granite counter tops. Handsome hardwoods floors, tile and carpet flooring throughout this beautiful home. A short distance to the picturesque village of cambria. Not too far to the shimmering sea, beautiful beaches and hiking trails.